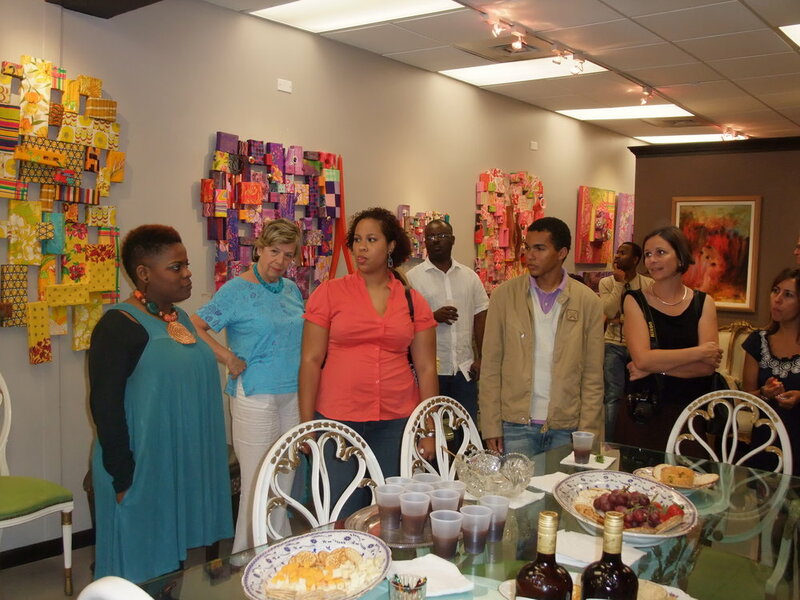 island-wide art bus tour held in Nassau, The Bahamas, showcasing the best in contemporary Bahamian visual art. 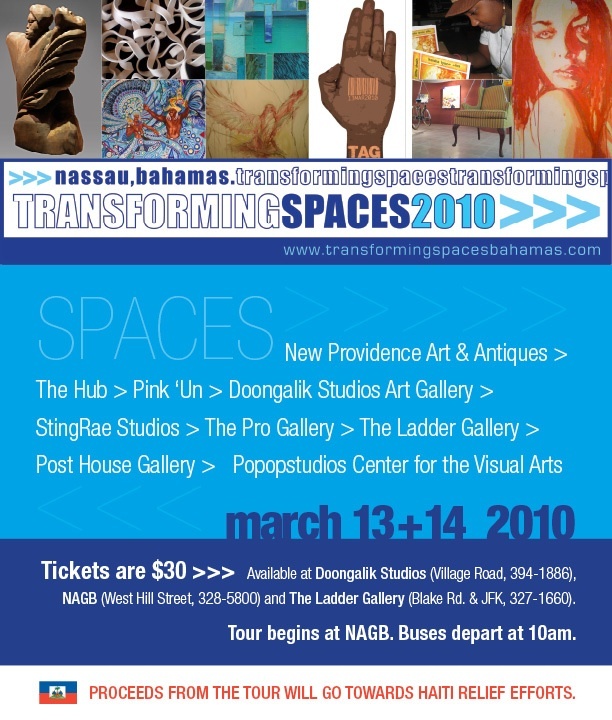 Now in its fifteenth year, Transforming Spaces will display the artwork of Bahamian artists in local galleries and around the island during the weekend of April 6 & 7 under the theme “SUSTAIN”. The website will be updated regularly with more information on the 2019 TS15 tour. 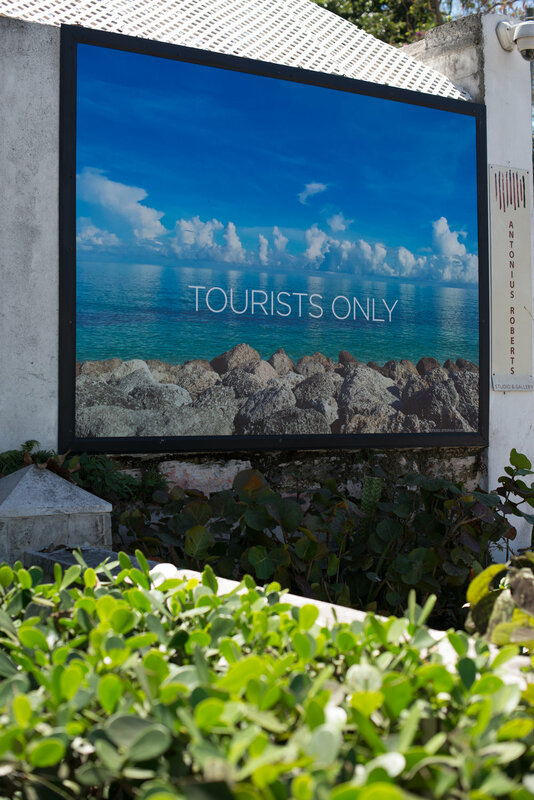 Though participating galleries 'transform' year to year, the desire to bring Bahamian art to the forefront by challenging artists to think and create in innovative ways, remains the same. 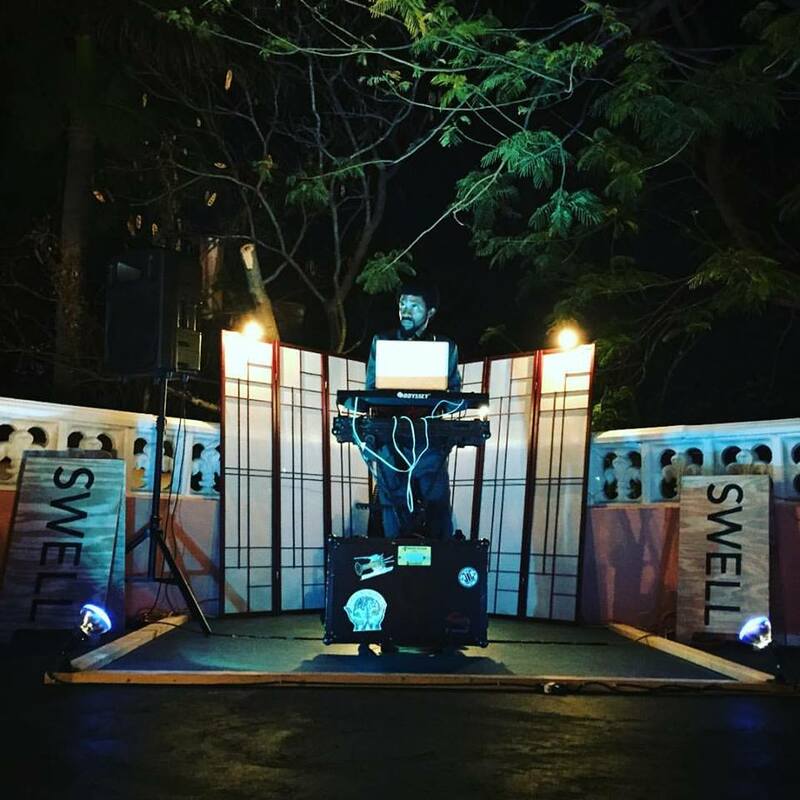 In addition, Transforming Spaces fosters connections and collaborations with regional and diasporic artists and curators to spotlight contemporary art practices. 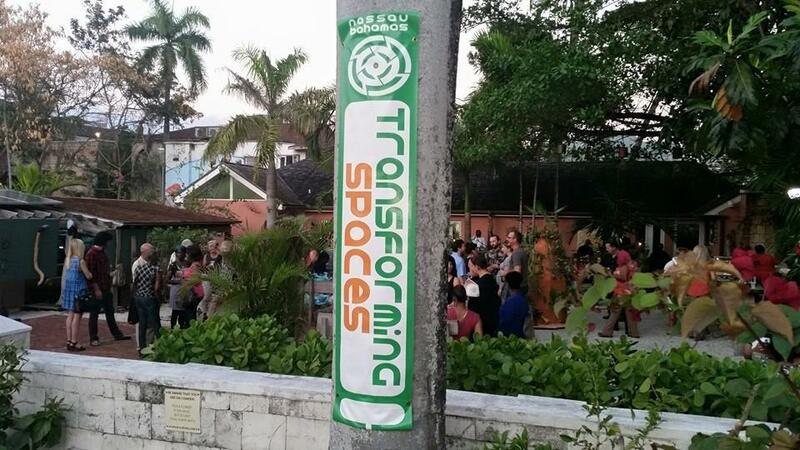 Transforming Spaces began with a core group of participants—Jackson Burnside III, John Cox, Antonius Roberts, Tyrone Ferguson, Jay Koment and Erica James—who shared one common goal: to get artists to work together to expose Bahamian art. 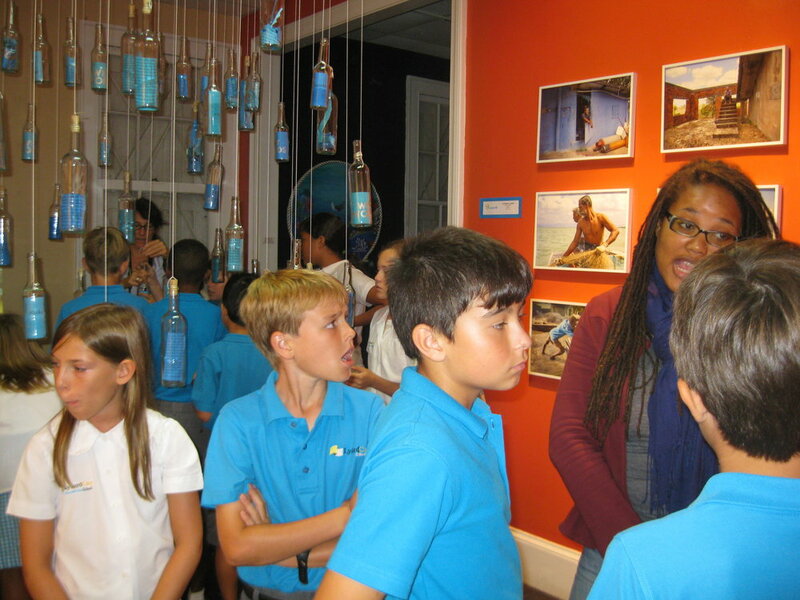 It was an exciting time at the turn of the century—The National Art Gallery of The Bahamas opened its doors with an Inaugural National Exhibition in 2003, finally formally spotlighting Bahamian visual art in the eyes of the country and the region. This sparked a series of artistic projects and new galleries that continue to develop Bahamian visual art at a rapid pace to this day. Transforming Spaces is proud to be a defining voice in this conversation. 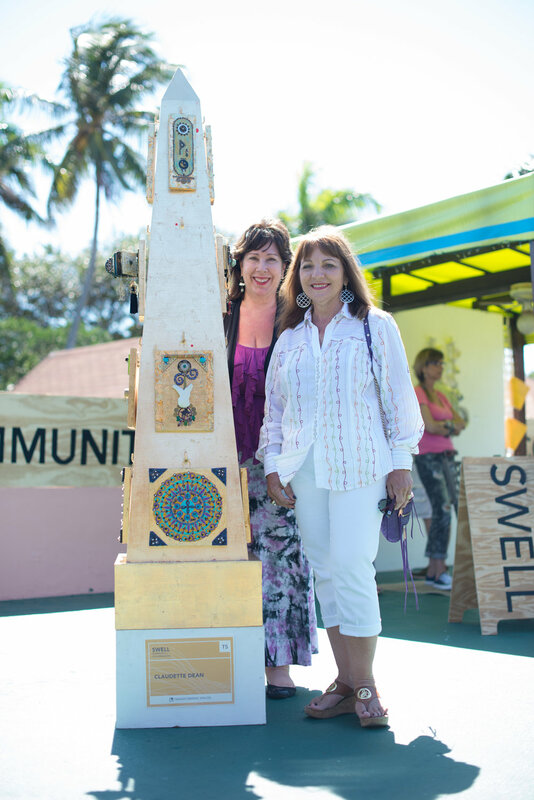 Year after year, the tour has proven to be a great success as artists and art-lovers alike look forward to that weekend in spring where participating galleries transform their spaces to present innovative displays of Bahamian art. For eight years, it fell to the participating galleries to curate their own spaces based on their chosen individual themes or artists. In 2012, Transforming Spaces presented their first completely thematic tour, a call for artists to present work inspired by “Fibre”—either in theme, practice or material. 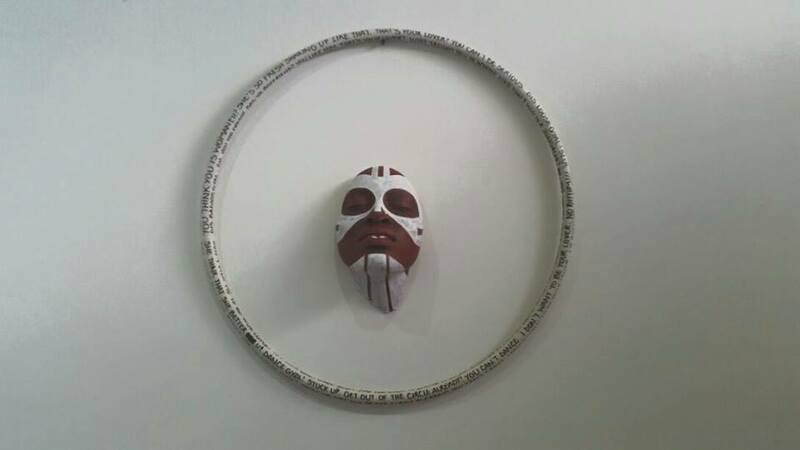 The resulting work, placed in participating galleries, created an exciting narrative that paid homage to indigenous materials. 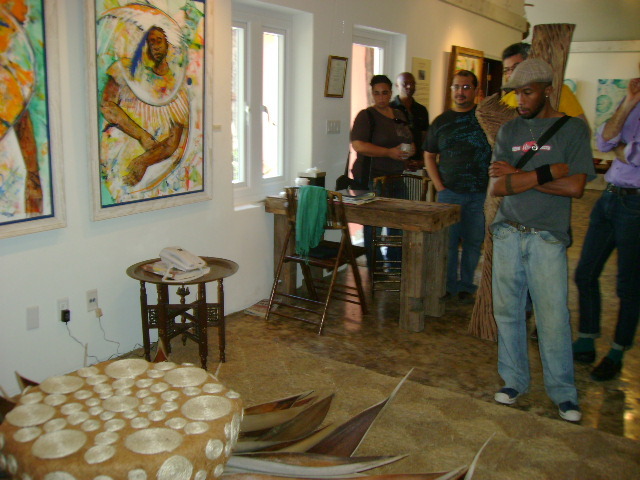 Based on the success of a thematic tour, Transforming Spaces offers a call to artists under an engaging theme every two years, while alternating years provide a chance for the curators of participating art spaces themselves to present a well-thought out exhibition for the tour which continues to expand the conversation about Bahamian and regional Caribbean art.